We offer Lamination Machine which is known for its precision design & technical accuracy. Our machines are used in the production of paper and are available at industry leading prices to our clients. Our range is offered in customized finishes as per the client requirements. Its mainly use in Cardboards and Corrugated box. 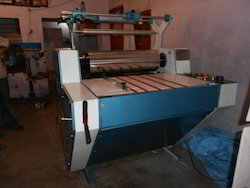 We are offering Semi Automatic Flute Laminator Machine to our clients. 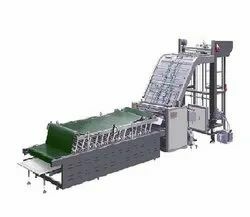 Automatic feeding bottom paper, frontage pushing face paper, feeding paper fast and lower work intensity. Feeding glue system are automatically controlled by liquid relay, thickness of glue can adjust. Gluing uniformity, lower glue cost. Control panel, electromagnetism clutch without touch point relay, position is monitored by photoelectric switch, digital automatic counter. High precision laminate, the finished products are of smooth surface edge and of high intensity. Bottom paper and face paper can fore-and-art adjustment, easy to laminate together. 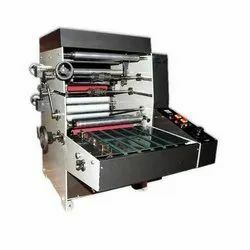 Paper Lamination Machine is specially designed to meet generally demand of film lamination jobs, examples like poster, greeting cards, book titles, card board cartons, folding boxes etc. 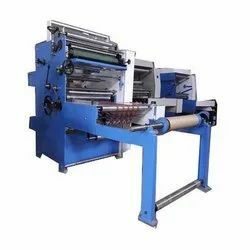 Roll to Roll Paper Lamination Machine is specially designed to meet generally demand of film lamination jobs, examples like the poster, greeting cards, book titles, cardboard cartons, folding boxes etc. We are offering Thermal Paper Lamination Machine to our clients. Hand-held cutter quickly separates laminated sheets.